Quick and simple things to quiet hunger between meals. 1-2-3 Dip - by Bev Wasson. Amish Peanut Butter - by Cathy Lea. Avocado Cucumber Summer Salsa - by Cathy Lea. Boiled Shrimp - by Denise Gilgen. Buffalo Chicken Dip - by Cathy Lea. Buffalo Wing Dip - by Cathy Lea. Candied Taos Nuts - by Donna Ferguson. Chicken Dippers - by James Rose. Chile Con Carne Dip - by Cathy Lea. Chipotle Spread and Dip - by Cathy Lea. Cran-Apple Christmas Chocolate Nut Crunch - by Cathy Lea. Deviled Egg Salad Spread - by Cathy Lea. Dog Food Dip - by Cathy Lea. Fry Sauce - by Cathy Lea. 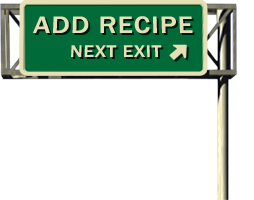 Green Chile Blue Cheese Dip - by Cathy Lea. Honey Milk Balls - by Nancy. Hot Air Cheese Popcorn - by Ed Campanella. Hot Salsa Dip - by Candace Rapf. Instant German Chocolate Cake Bites - by James Rose. Jezebel Cheese - by Betty K.
Native Frito Pie - by Cathy Lea. Olive Tapenade - by Karen Gomez. Oregon Shrimp Dip - by Cathy Lea. Palmitos - by Rose and Rognar Doerwald. Party Queso Dip - by Cathy Lea. Pinto Bean Spread - by Cathy Lea. Poorboy Mushroom Drops - by James Rose. Potato with Chili - by Bill and Susannah Sewart. Quesadillas - by Sue Baker. Road Side Cashew Nuts - by Mr. Rashid Keki Mukadam. Salsa Dip - by Cathy Lea. Salsa Verde with Avocado - by Cathy Lea. Smoked Salmon Spread - by Cathy Lea. Spicy Creamy Chicken Dip - by Chelle. 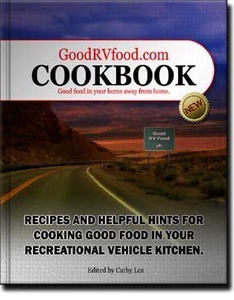 Sweet And Spicy Horseradish Mustard Dip - by Cathy Lea. 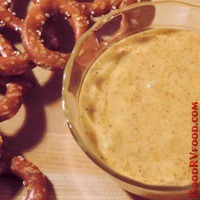 Sweet Mustard Pretzel Dip - by Cathy Lea. Tortilla Roll Ups - by Cathy Lea. Unbaked Brownies - by Lisa L.
Wasabi Soy Dip - by Kathi Becker. Whoopie Cookies - by Betty K.